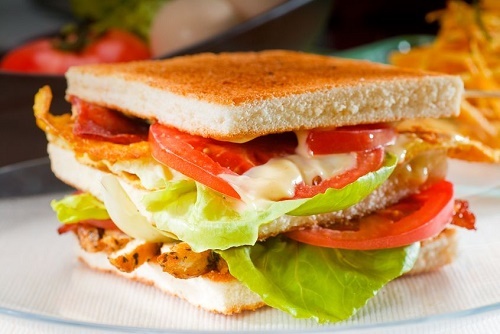 You can serve your chicken salad on a bed of lettuce or between two slices of toasted bread. Use mayonnaise and sour cream mixed with chopped herbs as a kid-friendly dressing for your shredded chicken. Tomatoes, red grapes, pecans, and dried cranberry add texture and a delightful summer flavor to any chicken salad.